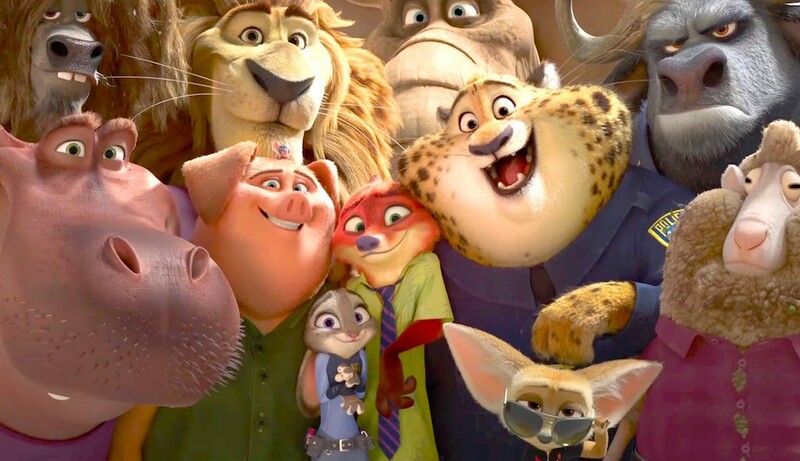 I won’t lie to you: when I first heard about Disney’s Zootopia (called ‘Zootropolis’ in Europe due to a popular zoo in Denmark called Zootopia refusing to let Disney use the title in Europe), I truly thought that it was going to be terrible. Despite them being something that you think are somewhat iconic, in my opinion, Disney movies centered around animals always fall short of the mark; it’s a field that I think Disney Pixar can wander through with success, but Disney Animation really haven’t hit the nail on the head with it for a very long time. Now I don’t know if it’s because my reservations were so negative or not, but the film exceeded my expectations by such a long shot that it took me by surprise even more than the shock plot twist at the end of the film did. Yes, this might well be one of the best non-Princess Disney movies since the likes of Tarzan in the 1990s. The premise of the story and the moral behind it is what makes this such a successful and beautiful movie overall. We start by meeting a young rabbit named Judy Hopps who lives in her small town of bunny rabbits. After we discover her burning desire to become the first rabbit on the police force in the big city of Zootropolis, we see that she is constantly ridiculed for having such a wildly fanciful dream for a rabbit; a subtle nod to the affects of both racism and sexism. Flash forward many years and we learn that she put everything she could into making that dream a reality and when she says goodbye to Bunny Burrow to hop (pun was not intended!) on the train to the big city, I welled up. Shakira’s song Try Everything begins to play as we are greeted with the gorgeous visual of this vibrant and vast city of all different types of animals. Upon arrival, it’s warming to know that this isn’t where the happiness for Judy Hopps begins. Keeping on with the theme of racism – and definitely with the theme of sexism as Hopps is the only police attendant that we get to see who is female – she is put on “traffic duty” instead of being allowed to fight crime. While on her duty, she teams up with super sleuth fox Nick Wilde after successfully stopping a serious crime and then inadvertently taking on a new and important job all for herself. Even when that task is finished, the story still doesn’t have a happy ending and it’s the fact that the main event of the film are these two outcasts of society (due to their species) succeeding despite the odds that shows you what this movie is truly about. It’s a movie about celebrating diversity and learning that nothing can stop a person from achieving their dreams. The undertones of combatting both racism and sexism are delightful throughout, with my favourite moment being when Nick Wilde calls Judy Hopps “cute” to which she responds with (and I paraphrase): “you can’t just call me cute. Only rabbits can call other rabbits cute… it’s weird otherwise” – Disney just managed to reference the use of the N-word in a kids movie! Genius! Zootropolis really is a beautifully acted and well executed portrayl of how the world around us is on a day to day basis and how it can be if we open our minds and change for the better. It’s a movie about acceptance and succeeding despite the odds and perhaps one of the only Disney movies in recent years to genuinely inspire you to do some actual good, with a message that isn’t in any way superficial or fanciful. In a period of time where the Oscars are white washed and Hollywood is looking more discriminatory by the day, it’s enlightening to see a glimmer of hope in a landscape of prejudice: a kids movie that unapologetically celebrates diversity made by one of the largest companies on the Globe. If you get the chance, go and see Zootropolis in cinemas this Easter break. No matter if you’re 5, 25 or 55, it’s a movie that everyone could benefit by seeing. Let’s just hope that Disney takes on its own messages this time and starts making movies in a more diverse and appropriate way to shift a change in this overly white Hollywood landscape.